Whataburger is an American regional fast food restaurant chain that specializes in hamburgers, based in San Antonio, Texas. As of September 2012, there are over 735 Whataburger stores across the Southern United States region. Whataburger is known for its distinct A-framed orange-and-white stripe-roofed buildings. 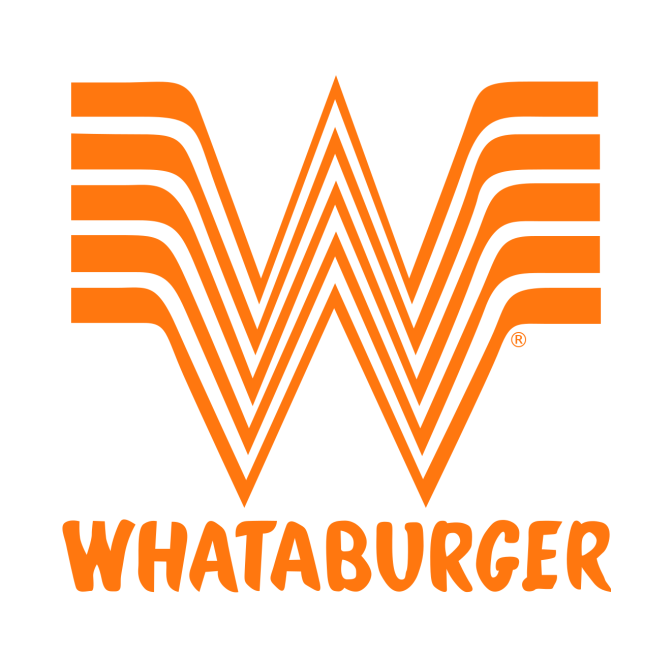 The font used for the Whataburger logo is very similar to Whatafont Regular designed by Iconian Fonts. The full font comes in four variations, Regular, Italic, Shadow and Extended. You can download it for free here. If you do not want to download and install the font but just like to create simple text or logos using Whataburger Logo Font, just use the text generator below. The following tool will convert your entered text into images using Whataburger Logo Font, and then you can right-click on the image to save it or click on the "EMBED" button to get links to embed images on the web.